I thought the search would never end, but in some ways I didn’t even know what I was seeking. I was the poster child in a world where you are told you can be anything you want to be. But how do you know what you want to be, and more importantly, who you want to be? At the end of my attendance at a traditional Catholic high school, there stood three lines for women. You got into the line for nurses if you were scientifically inclined. If you weren’t, you got into the line next to it, which was for teachers. If you couldn’t make up your mind or weren’t motivated, you were relegated to the third line for secretaries. It was 1967. BOOM! The world exploded almost immediately after that. Vietnam. Civil Rights. Peace, Love, and Happiness. And so much more. I had been given a second chance to make choices. And did I ever make choices. Having gotten in the nurse line first, I quickly realized I wasn’t well equipped for a profession for which I have the most profound respect. I just didn’t belong. I had always wanted to be an advocate, a lawyer. So off to law school I trotted, while I worked as a welfare director in a city during the Regan administration. Talk about not belonging. The lawyer-gig fit better. I practiced family law, where the human skills I learned as a nurse could be combined with deductive reasoning and advocacy. But I didn’t really identify with my fellow lawyers. I certainly didn’t want to play golf with them and steered clear of bar association memberships. I discovered I enjoyed mediating conflict better than duking it out in court where families are psychologically dismembered by words spoken by lawyers and then swiftly forgotten. In mediation, I found comfort and support in other professionals who agreed there was a better way to disagree. But many mediators come to the field driven by many diverse motivations. I had yet to feel I had found my community. While a brief stint as a yoga teacher brought me joy, I still didn’t feel as if I had found “my peeps.” All the while, my inner writer had been gestating. The lawyer gig had revealed how much I love to tell people’s stories. After all, that’s what I did for my clients. I told judges their stories as persuasively as I could, trying to distinguish them from the myriads of other tragedies poured like lagers of misery. At first I was afraid to admit I was a writer. But then I joined a writing group where I found others afflicted with the same addiction to words and storytelling. 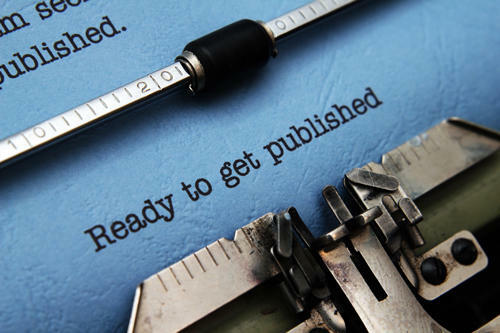 Buoyed by connecting with other writers and sharing the alternating elation and despondence only writers can appreciate punctuate the love of writing, I began joining writer’s organizations and attending writer’s conferences. How can I describe the relief and jubilation I felt at finally finding my people? Although the initial encounters with other writers are often awkward and stilted because everyone knows writers are short on social graces, what follows usually are conversations, laughter, and laments on a level resonating with the “who” I finally have found me to be. I had discovered where I belonged, who my tribe was, and the pleasure of being with my peeps.